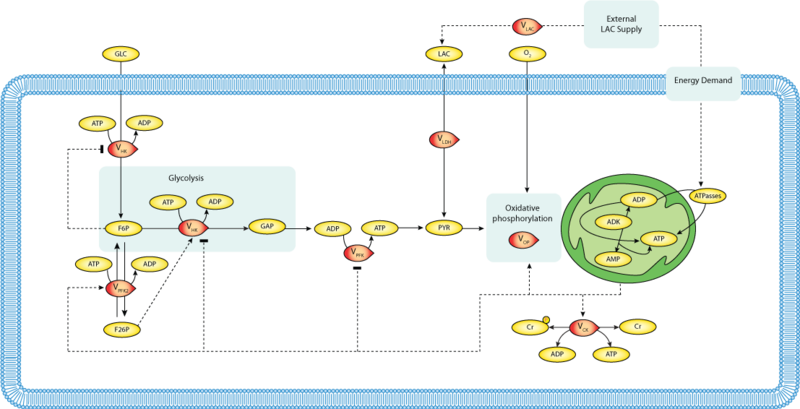 This CellML model represents version A of the published model (Table 1.A vPFK regulation by ATP-AMP concentrations) and runs in both PCEnv and COR to replicate the published results (Figure 2A). The units have been checked and they are consistent. We'd like to thank the original model author Mathieu Cloutier for his time spent curating the CellML model to get it matching the published model.